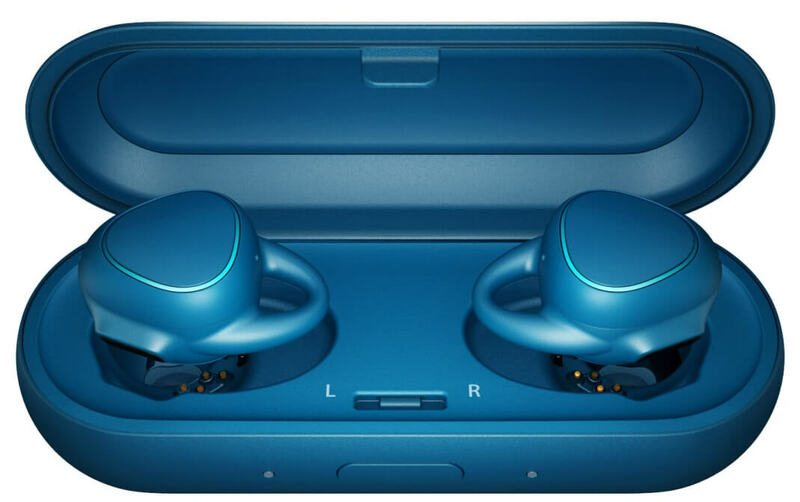 Everyone may be talking about Apple’s hard-to-repair and expensive-to-replace AirPods right now, but Samsung released its own set of wireless earbuds – The Gear IconX – back in Summer 2016. Now, rumors say that the Korean company is preparing to launch some new in-ear wireless devices alongside the Galaxy S8. There aren't many other details regarding the rumor, which comes from unnamed SamMobile sources. Whether the pods are bundled in with the Galaxy S8 or sell as a separate product is unclear. A new set of Samsung wireless buds does seem like a strong possibility, especially as the S8 is said to follow Apple’s lead by removing the headphone jack. Though recent reports state that some of the handset's prototypes include a USB Type-C port instead of a 3.5mm jack, while others don’t. Another unknown factor is what kind of functionality these new headphones would offer. The fitness-focused Gear IconX can track distance, speed, duration, heart rate, and calories burned. They also come with their own charging case, and have 4GB onboard storage. As is now the case with every audio-related S8 rumor, there's the question of whether any technology gained from Samsung’s recent Harman acquisition could make its way into the earbuds. The answer, much like the possibility of the S8 sporting Harman-branded stereo speakers, is probably not. Back in November, chief of Samsung's automotive division, Park Jong-hwan, said: “If we are to adopt Harman’s high-end audio technology for the Galaxy S series phone, the first model could come in 2018.” It seems it’s far too early for any Harman tech to make its way into Samsung products. Another recent S8 rumor is that the handset will offer a stylus as an optional extra. After what happened with the Note 7, Samsung could appease disappointed fans by launching the pen as an accessory. The S8 will reportedly come in two sizes – 5.2-inches and 6.2-inches – the larger of which would suit a stylus. However, the handset won’t include a Note-style cutout for the pen, so constantly losing it could be a problem.